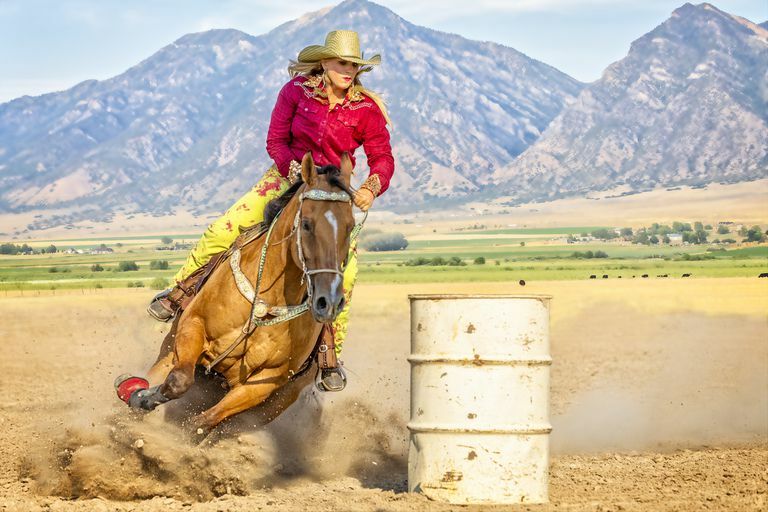 If you're a spectator, understanding the logistics of a Women's Professional Rodeo Association barrel pattern can add to your enjoyment of the event. But if you're a competitor, knowing every inch and angle can add to your edge. So what exactly are the measurements between barrels in a standard WPRA barrel pattern? Unfortunately, the answer is less than specific: It depends. Although there have been plenty of male barrel racers and the sport attracts young people at the youth level, barrel racing is essentially a female competition. Three barrels are set in a triangle at mid-arena and the idea is to race around them in a cloverleaf pattern – not all competitors at once, of course, but one at a time. 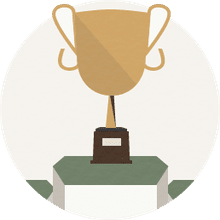 The goal is to complete the course in the fastest time. As with most rodeo competitions, it's not just about the rider. Both rider and horse must possess excellent skills and superb athletic ability to triumph. Competitors can choose between starting with the first or second barrels, but they must complete the required pattern and number of turns. The barrels must be metal, 55 gallons, and closed at both ends. At a minimum, each barrel should be at least 18 feet from the nearest fence, and the scoreline must be at least 60 feet from the back fence. Understanding these distances can help you calculate your stopping room. The standard arena is pretty large and not all arenas are of this magnitude. These measurements obviously can't apply in smaller arenas and, in fact, patterns this large are not found at all races and rodeos. For example, the National Barrel Horse Association uses only 30 feet between the scoreline and the first barrel, but the distance between the third barrel and the back fence is increased to 30 feet. If you would like a smaller pattern, reduce the distances by five to 10-foot increments for each measurement. If you're setting up a practice area, the most important thing is to ensure that there's ample room between your barrels and the nearest fences. A good run for a pattern based on a standard size arena would be any time under 17.50 seconds. Sixty seconds is the cutoff. If you haven't completed the course by then, you're out of the race. Hitting a barrel shaves five points off your time and missing a barrel entirely means disqualification. 3 Options for Golf Course Yardage Markers — Which Is Right?